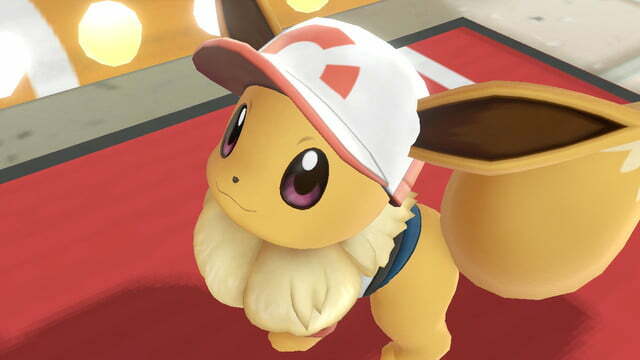 Pokémon: Let’s Go is a streamlined, marvelous reimagining of Pokémon Yellow with mostly welcome improvements. 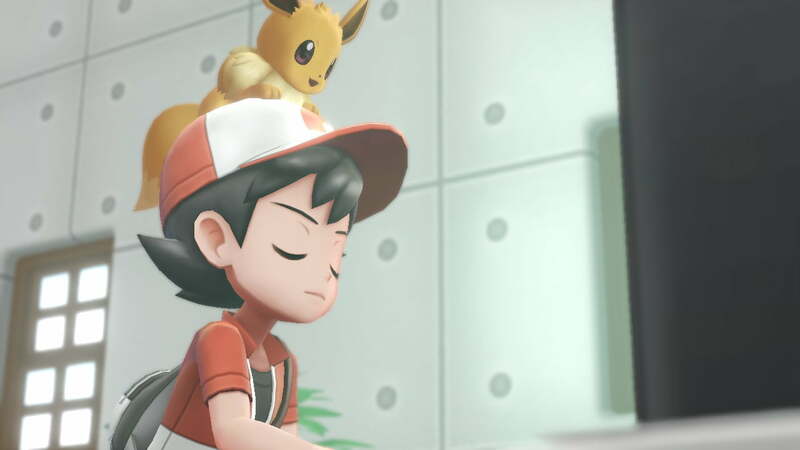 Pokémon: Let’s Go isn’t a mainline game in the popular franchise, but it makes a strong case for why its tweaked formula should be in Game Freak and Nintendo’s future plans. Let’s Go is both a wonderful reimagining of Pokémon Yellow and a bridge from Pokémon Go to the core series. It takes us back to the Kanto region, a place of boundless joy, quirky trainers, and the original 151 pocket monsters. At the same time, it feels like a new beginning for a franchise that has never really needed to evolve. 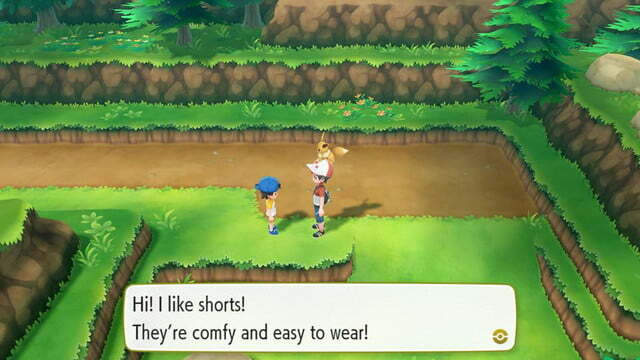 Let’s Go has a more casual approach than the core RPGs before it. 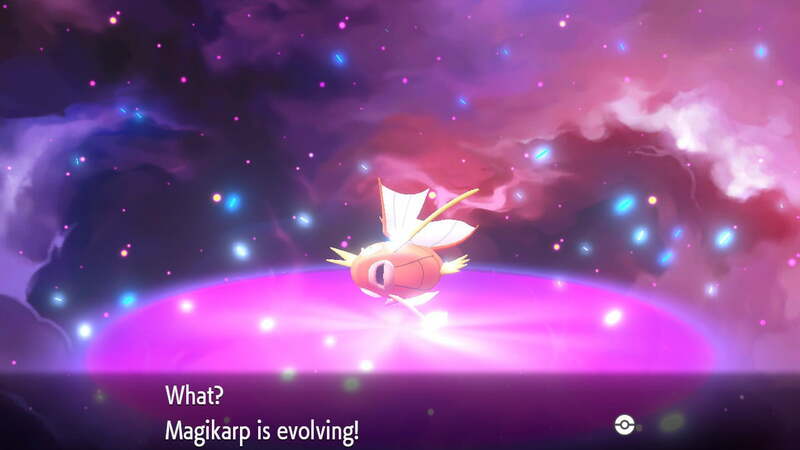 By eliminating random battles and turning the catch sequence into a more nuanced take on Pokémon Go, Let’s Go hastens the pace while giving players more control over how they want to experience their journey to becoming Pokémon League Champion. After successfully making my way through the Elite Four and beating my rival once and for all, I can safely say that Pokémon has gained more than its lost with Let’s Go. By far the biggest difference between Let’s Go and the mainline games comes with the catching system. 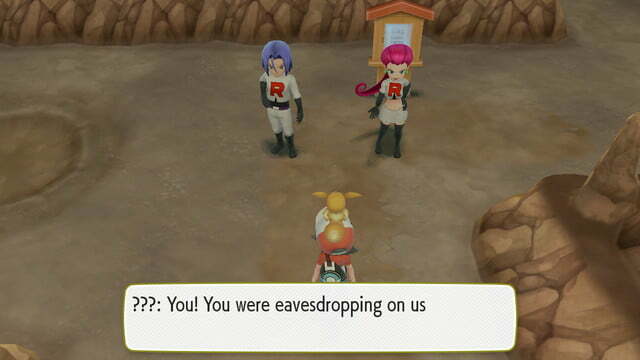 Rather than walking around in tall grass and getting caught by surprise every few steps by another measly Rattata, all of the Pokémon walk around the overworld. You physically see them scurrying through the grass, wandering through caves, and flying across fields. They still appear in all of the usual places, but you get to choose your encounters by simply running into them. Once you initiate contact, the catch sequence begins. Besides a couple of special scenarios like Snorlax and the legendary birds, you don’t fight wild Pokémon. Much like Go, you simply lob Pokéballs in their direction until you secure it. There’s a bit more to it than in Go, though. Each catch sequence requires you to line up a reticle over the Pokémon and wait for a ring to close to toss the Pokéball. The smaller the ring is when your Pokéball opens, the better the chance you’ll have to catch it. Sometimes you’ll have to throw berries at a Pokémon to calm them down first, and you have to decide based on the color of the ring which Pokéball to throw to increase your chances of success. If you take too long trying to catch, which can easily happen when facing off against flying creatures or those that like to bounce around, Pokémon can run away. The removal of random battles may be contentious amongst fans, but it’s an overall improvement. Sometimes the catching sequences feel a tad too random, as tougher Pokémon can occasionally be caught with a regular Pokéball and an average toss, even when the reticle is red or orange (you want to shoot for yellow). Other times, you can lob Ultra balls at a comparatively weaker Pokémon to no avail. These inconsistencies don’t hurt the mechanic much, though the unpredictability of it is somewhat confusing. Just because the battle portion of catching is gone, it doesn’t mean there isn’t depth here. You earn experience through catching Pokémon. How much experience you earn is tied to a number of factors. For instance, an “excellent” graded catch earns you much more experience than a “nice” catch. If you catch special tiny or huge versions of Pokémon, which show up on the map with a glitzy aura around them, you earn more. Catch multiple of the same species in a row and you earn a combo multiplier that can greatly increase your experience while upping the likelihood of seeing Pokémon of that species with better stats next time around. All of this gives the simple catching system just the right amount of depth. It’s truly surprising how well this new system works within the foundation of a standard Pokémon RPG. Not only is it fun and surreal to see a Psyduck waddle through the long grass hands on head, but the new catch system is decidedly modern and refreshing. The removal of random battles may be contentious amongst fans, but it’s, dare I say, an overall improvement on the gameplay loop. By not having to bother yourself with a countless number of irrelevant and inconvenient battles against lowly opponents, you can focus on what you want to do. The spawning of Pokémon is still random, so you still get the thrill of seeing a rare Pokémon like Abra hover above the weeds without having to plow through dozens of Weedles. You still get the thrill of seeing a rare Pokémon like Abra hover above the weeds without having to plow through dozens of Weedles. Smartly, you no longer have to visit a PC in a Pokémon Center to send your new friends to Professor Oak. Instead, you can access the storage box directly in the menu, where you can deliver unneeded Pokémon to the professor in exchange for candies to help level stats. Let’s Go’s streamlined system for catching wild Pokémon probably won’t be featured in future core games, though it made me a believer of this new way to play one of the greatest RPG franchises of all time. For what it’s worth, I mostly played in handheld mode because I preferred being able to use traditional controls when lining up Pokéball throws. 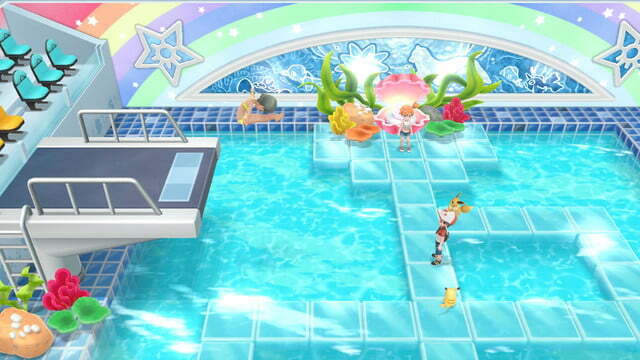 In docked mode, motion controls are required. There’s nothing wrong with the motion controls, but you do have to swing your arm around a lot, making it a less relaxing experience. Part of the reason why the new catch system feels like a well-implemented feature is because Let’s Go still has an ample number of traditional battles. You’re still going to run into trainers when traveling across Kanto, all of whom are eager to battle you. Battle sequences mirror what’d you expect in a traditional, turn-based Pokémon game. While many of the trainers in the game are situated in the same spot they were in Yellow, there are more trainers than you remember. A couple of new types of trainers — Ace and Coach — add some extra flavor into the mix. 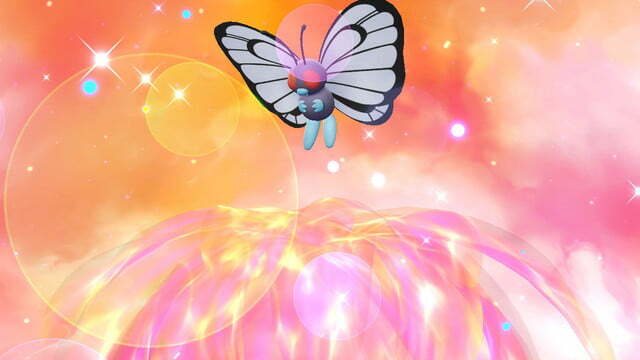 Defeating these trainers nets you more rewards than the average battle and offers a more difficult challenge. Working towards getting to Victory Road and defeating the Elite Four requires a balance between battling and catching. Now that the two systems are separate, it makes trainer battles feel fresher than before. The two divergent systems pair together nicely to create a constantly engaging Pokémon experience that chucks tedium out the window. Let’s Go is, by design, simpler than previous Pokémon games. That includes battles. It’s rare to struggle against any opponent, even members of the Elite Four. Let’s Go really leans into the rock-paper-scissors combat, meaning focusing on strengths and weaknesses can lead to some really lopsided battles. If you achieve a “super effective” move, it’s likely to take out at least half, and routinely all, of an opponent’s health bar. Even when fighting the Elite Four, you will probably one shot kill at least a few opposing Pokémon if you use elemental strengths/weaknesses to your advantage. Of course, this same logic applies to your opponent, so you can get one shot killed pretty easily too. Working towards getting to Victory Road and defeating the Elite Four requires a great balance between battling and catching. 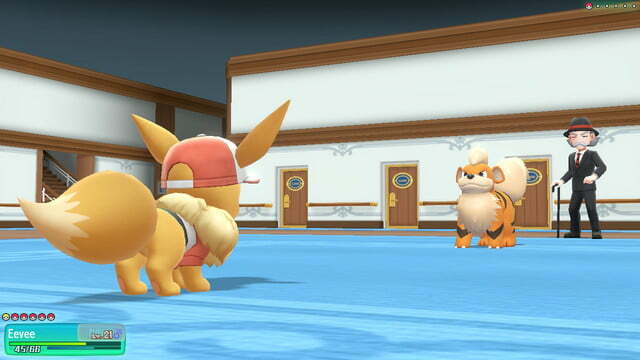 The lack of difficulty is further heightened by the strength of the starter Pokémon. These aren’t your normal Pikachu or Eevee. 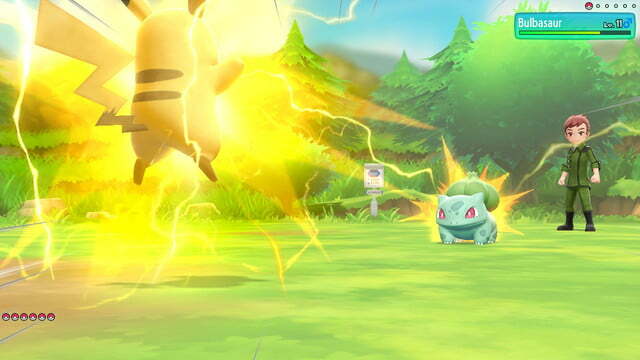 Pikachu can learn a water-type move and a really cool flying attack. Meanwhile, starter Eevee, who cannot evolve into any of its handful of forms, can learn a special move across each of its normal evolutions (essentially every element in the game). This makes for starter Pokémon that often feel quite a bit more powerful than almost any other Pokémon you come across in the game. 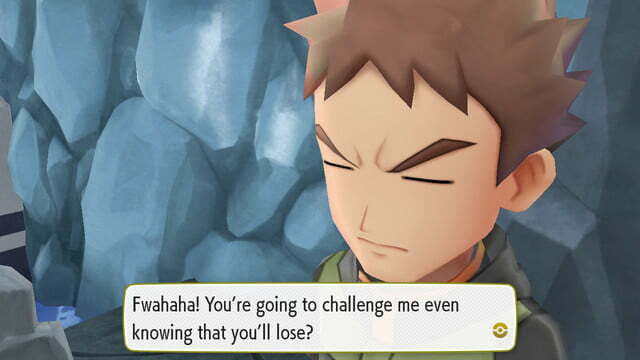 Let’s Go would likely be a bit more exciting if it housed more of a challenge, but it’s designed to be a casual romp through Pokémon’s origins. 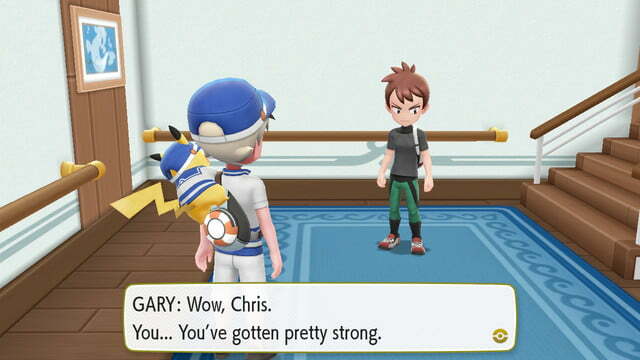 Still, I wish Let’s Go had at least ramped the difficulty in gyms. Thanks to new, often elaborate, move animations, battles always look cool despite being largely simple to win. As it stands, the main adventure is mostly a breeze. A soothing breeze, but nonetheless a breeze. Kanto holds a special place in many Pokémon fans’ hearts for good reason. 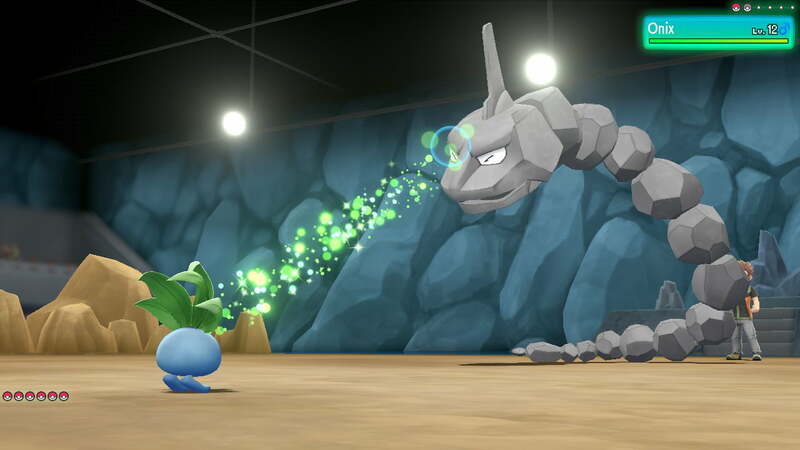 Along with being the first region fans had a chance to visit, it remains one of the most visually stimulating and exciting treks in Pokémon history. Its woodland design holds a relaxing and welcoming aesthetic that has only been amplified in the game’s transition to vibrant, 3D visuals. Let’s Go has the same perspective as recent 3DS entries, but it looks much better on the Switch hardware. Kanto is setup almost exactly the same as you remember it in Pokémon Yellow, all the way down the switches and portals in gyms and towers. Some smart improvements, however make traveling about the region better. Let’s Go drops HMs, replacing them with Secret Techniques. Rather than needing a flying Pokémon in your party to fly from town to town, your starter will learn the technique and be charmingly airlifted by balloons to your destination. Additionally, the bike has been replaced by rideable Pokémon like Rapidash, which is one of the coolest little additions found in Let’s Go. With drop-in drop out co-op support, you can battle your way through Kanto alongside a friend. Though your partner serves mainly as a helper, it feels like a perfect way to introduce youngsters to the magic of Pokémon. Even though Kanto feels very familiar, Let’s Go manages to make the region come alive again with a bunch of small, endearing additions. 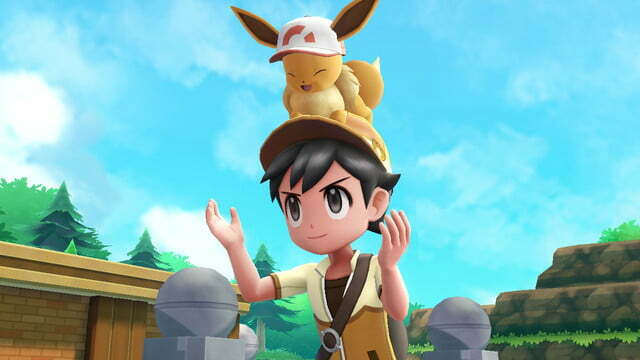 Depending on which version you pick, Pikachu rides on your shoulder and Eevee sits atop your hat. You can also assign a Pokémon to walk behind you who will find berries for you. So, naturally, Eevee sat on my hat while Pikachu scurried behind me. 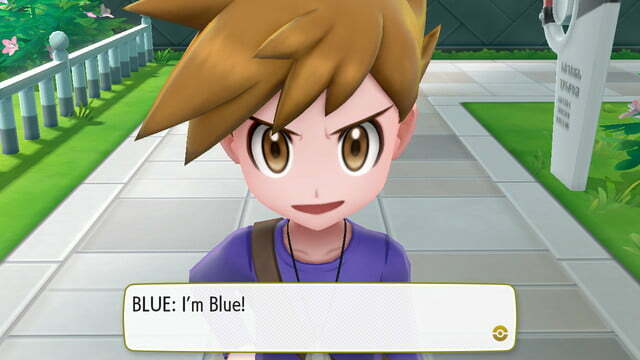 New cutscenes give characters such as gym leaders newfound personalities. And I dare you to not smile during any and all cutscenes focusing on the bond between you and your starter Pokémon. 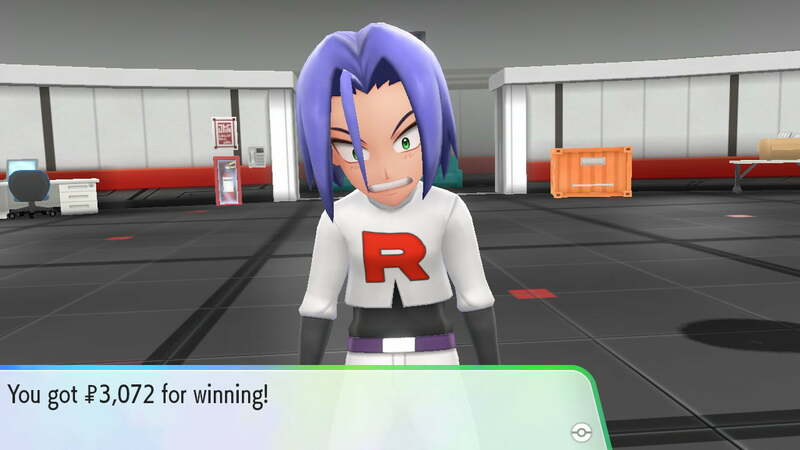 Though I’m already a certified Pokémon League Champion, the endgame in Let’s Go has much to offer. In addition to the hunt for Mewtwo and the legendary birds, there’s a new series of tough challenges to win against Master Trainers, speciality trainers that you have to fight without using any items. Kanto also has a few more endgame treats that provide some new action while you fill out your Pokédex. It’s worth noting that the endgame challenges are significantly harder than the main adventure, which should give enthusiasts reason to keep playing after the credits roll. Speaking of your Pokédex, the one major new area in Kanto is Go Park, a Pokémon playground of sorts where you can play a minigame and transfer Pokémon from Go to Let’s Go (but only first generation Pokémon). 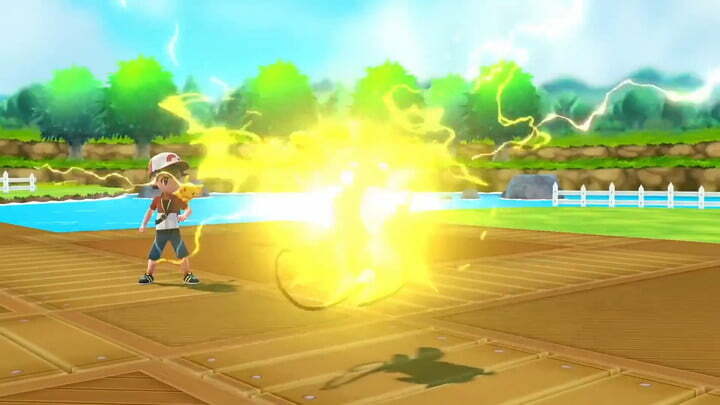 You’ll eventually be able to transfer Pokémon from Let’s Go to the next mainline game, too. 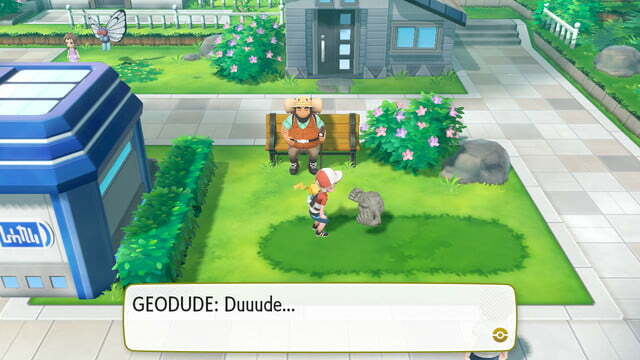 Playing into Kanto’s iconic status, the dialogue includes numerous references to previous adventures in the region. Longtime Pokémon fans will enjoy these callouts as well as the addition of Alolan trainers in the world. Let’s Go delightfully acknowledges Pokémon’s history on many occasions, making it a charming ode to the series. 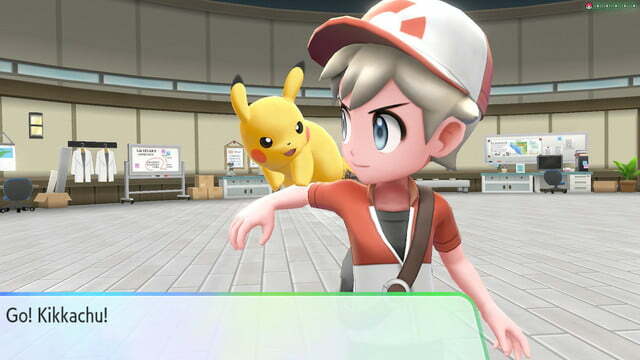 Pokémon: Let’s Go is a simplified reimagining of Pokémon Yellow that feels fresh and exciting. While some difficulty is lost without the random battles, the balance between catching Pokémon and battling trainers keeps the experience captivating throughout. 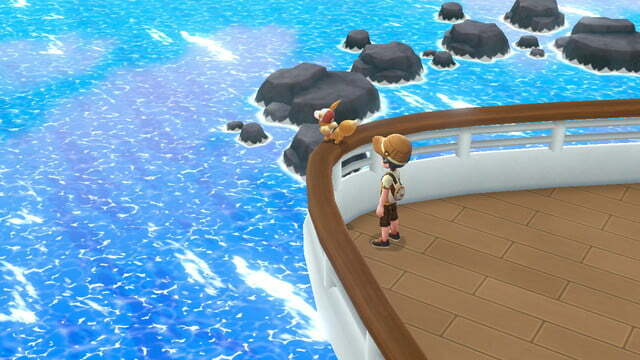 Its return to a brighter, detailed depiction of Kanto is a constant joy despite the game feeling a bit too easy. If you want a more traditional Pokémon experience, the 3DS games like Pokémon Ultra Sun and Ultra Moon will suit you better. On Switch, however, Let’s Go is the sole major Pokémon game and one of the best RPGs on the platform thus far. It took us 25 hours to collect eight gym badges and defeat the Elite Four. Filling out your Pokédex and beating all of the endgame challenges can easily double or triple that runtime. Yes, Let’s Go will appeal to both longtime fans and newcomers.